An attractively-priced USB-3 device for getting HD-SDI signals into a laptop or PC, with access to all video lines, 16 audio channels and HANC/VANC packets. The unit is bus-powered, so no power supply is required. HD-SDI input for USB-3 with SdEye for real-time and offline analysis of SDI signals. HD-SDI input for USB-3 with VF-REC recording software. HD-SDI input for USB-3 with VF-REC recording software and SdEye for real-time and offline analysis of SDI signals. For OEM development, we can supply the bare PCB and offer special volume pricing. Please contact us to discuss your requirement. 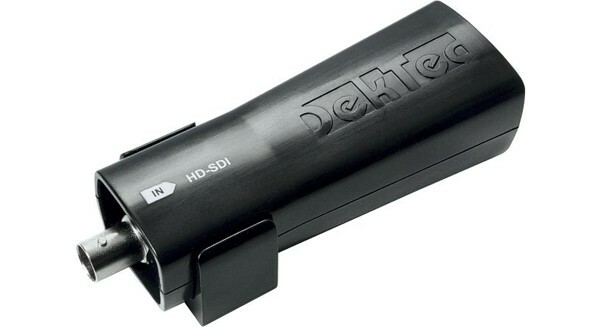 General-purpose HD-SDI input for USB-3. All 10-bit data words from the full HD-SDI frame are read and available to the user. Supported by DekTec Matrix API 2.0 to automatically extract audio, video, HANC and/or VANC. HD-SDI waveform analysis and recording. Input for DirectShow-enabled applications that process uncompressed video. Generic HD-SDI input for your application, e.g. encoder, ancillary-data extractor, etc. If you require ASI or SD-SDI interconnectivity, then the DTU-245 may be the best choice for you. PCI express solution for interfacing SDI (up to 4x3G) to PCs. The DTA-2174 is the industry's workhorse for interfacing 3G-SDI to PCs.